Wish to "Toughen" up your Skylark? 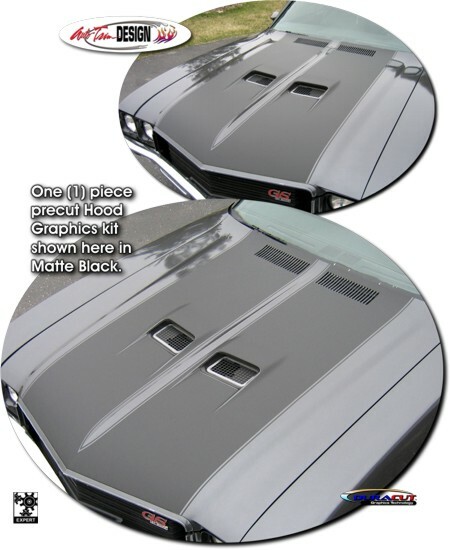 Created for the '70-'72 GSX hood, this graphic kit will bring the vehicle back to period. Precut with the Hood Vents, Grilles and center spacing, this one (1) piece graphic will make your Skylark look great. Available in a wide variety of colors, kit comes with general online installation instructions and care guide. Due to the compound curves and depressions found around the Hood Vent areas, we recommend installation by an experienced installer.